Combination clipboard and portable office. It can even be used as a briefcase. Large capacity for papers, forms, notepads etc. Heavy duty clip has extra capacity. 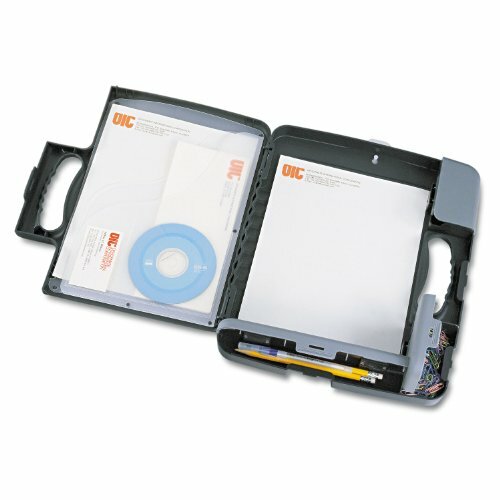 Built in filing pockets for CD’s, business cards and papers. Three separate filing compartments are for pens and pencils, clips and other small objects. One compartment is magnetized to hold clips in place. Ergonomic hand grips; hang hole.